When he was still in prison earlier this year, Meek Mill received support from all ends of the earth. We mean that quite literally too. He was even shouted out by a Slovenian snowboarder at the Winter Olympics. One of the people that has constantly had Meek’s back though throughout his legal troubles is Rick Ross. 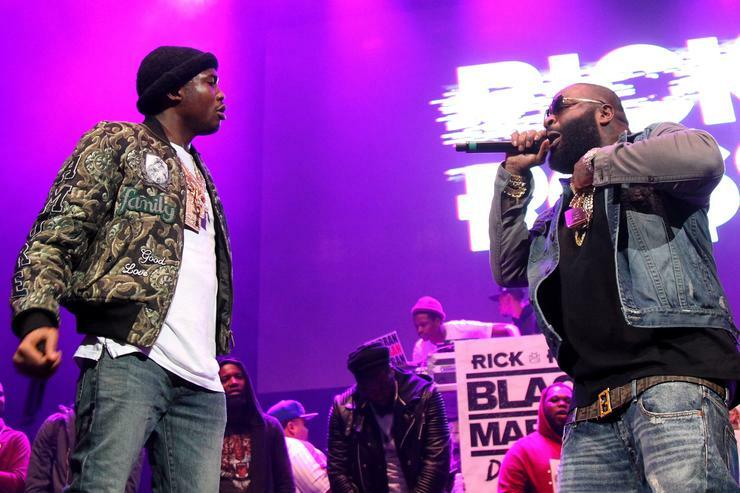 Rozay has always been there for his boy, reminding everybody of the #FreeMeekMill movement whenever something comes up. Obviously, Meek is out of jail now and he’s gearing up to release his next album. While that may come any week now, the Philadelphia artist has been speaking about his life, most notably in a new cover story with XXL. Meek recently raised some eyebrows when he seemingly responded to Nicki Minaj’s claims of abuse in her past relationships, telling people to be wary of “narcissists.” His new music is reportedly arriving in a few weeks.